In This Sweet Sickness, David Kelsey has an unyielding conviction that life will turn out all right for him; he just has to fix "the situation" of being in love with a married woman. Obsessed with Annabelle and the life he has imagined for them, David prepares to win her over, whatever it takes. 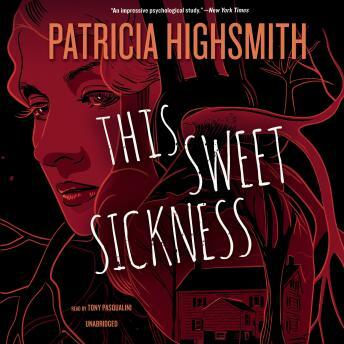 In this riveting tale of a deluded loner, Highsmith reveals her uncanny ability to draw out the secret obsessions that overwhelm the human heart.